As an Educational Consultant, you will work directly with students and take charge of their application to English speaking countries, helping them to prepare all necessary documents and follow their submission plan to maximize the success rate. Equally important, you are responsible for creating a bonding with students, and becoming a source of inspiration for them. Finally, as a member of GPA Vietnam, the Educational Consultant is expected to exercise sound judgment and maintain GPA’s ethical standards in all professional and business-related situations. are completed before schools’ deadlines. ✓ Work closely with students and parents to give clear and concise instructions for building school and visa application components. ✓ Create a bonding with students in order to understand, and motivate them in achieving application goal. 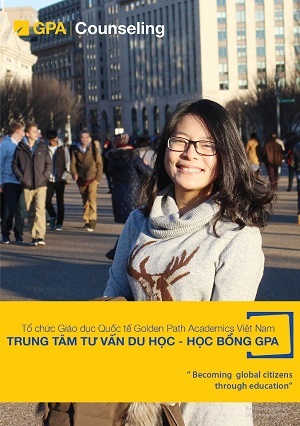 Golden Path Academics Vietnam (GPA) is an international education organization established by Ms. Hien Dao – a Columbia and Harvard alumnus. With more than 6 years of development, GPA is currently one of the most prestigious US study-counseling firms in Viet Nam. At GPA, we highly appreciate talent development and promote a competitive yet supportive working environment.